Did you know that October is financial planning month? It may not be a designated holiday on your calendar, but we’re celebrating at Wealthfront. All month long, we’re providing inspiration and advice to help empower a new generation of investors to save more and show that despite coming of age during the Great Recession, we’re determined to reach our financial goals. Last week, we kicked off with our 2018 Financial Planning & Savings Report. Today, to celebrate National Savings Day, we’re launching our first Wealthfront Savings Challenge. During the month of October, we’re challenging you to set up a new recurring deposit or increase your current one and reach your goals faster. After you link your external accounts, we calculate how much you are saving across all your accounts each month. We then calculate your average savings rate as the percentage of your monthly income that you’re able to save over each month, over the past 12 months. Can you retire a year earlier? Can you make your home goal more affordable? Or maybe you can take 6 months to travel. Simply move your planned savings slider up to see the impact of increasing your savings on your major financial goals. Once you know how your savings can impact your future goals, set up a recurring deposit and put your savings on autopilot. 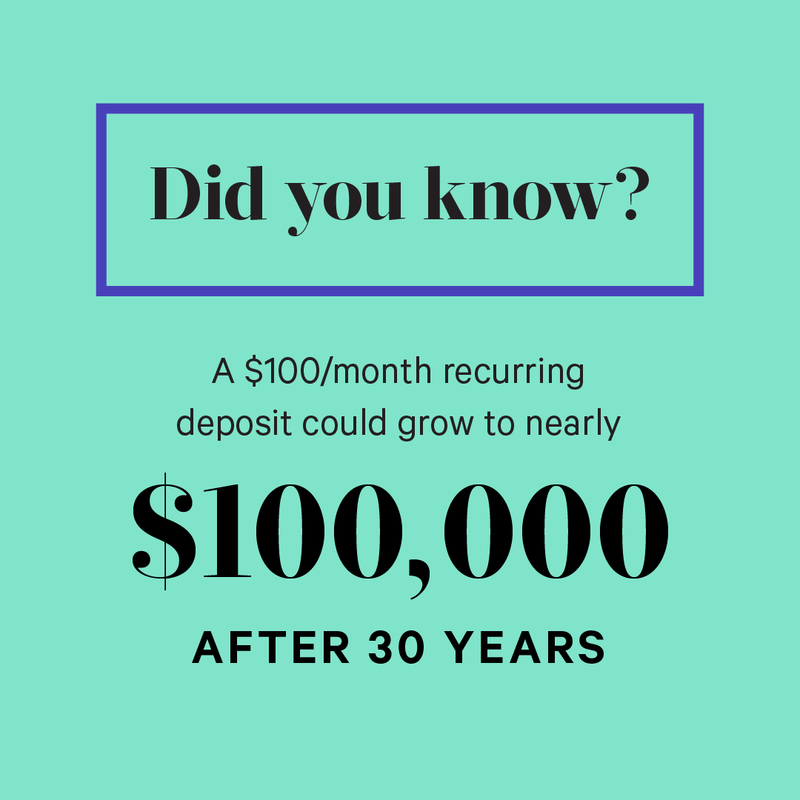 Already have a recurring deposit? Increase your recurring deposit to help you achieve your financial goals faster. “I moved from saving out of fear to saving for new opportunities. That’s a game changer.” – Kayla D.
It’s important to set specific savings goals. Whether it’s for a dream vacation, the down payment on your first home, or your child’s future education, having a goal in mind helps you better see the value of your savings and makes it easier to commit your money to the future. “My tip is to scale your savings with raises. It’s easy to avoid lifestyle creep if your extra income goes straight to savings.” – Parth P.
By setting up recurring deposits that are based on a percentage of your income, you increase your savings without having to make a mental decision each time. If you’re not ready to do that, setting up a small recurring deposit can also help take the inertia out of savings. If you never see the money to start with, you won’t miss it. “Compound interest is basically magic.” – Neil P.
By starting early and often, you can take advantage of the power of compounding. 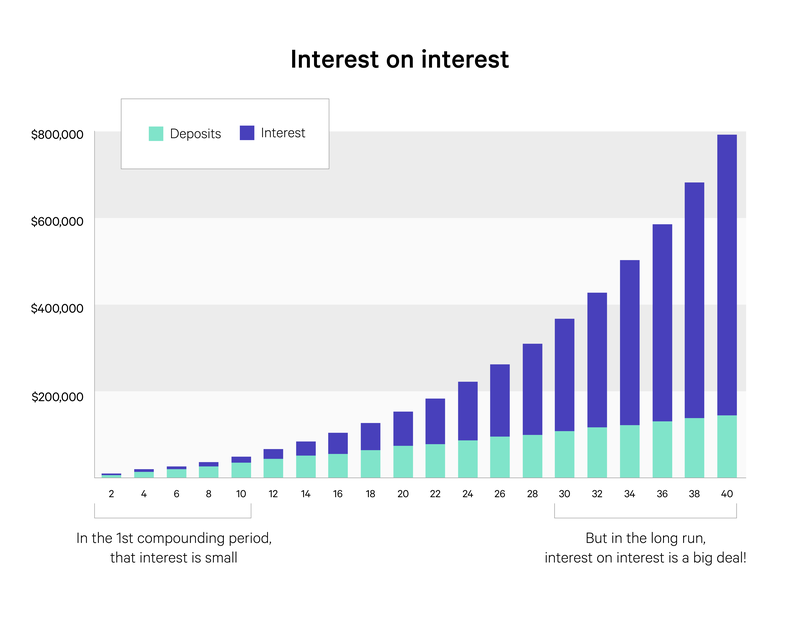 With compound interest, the interest is immediately added to the initial amount, and then the new interest payment is applied to the resulting amount. In other words, you’re earning interest on interest. And with time, compound interest can lead to staggering results. So start early, and be consistent and patient.